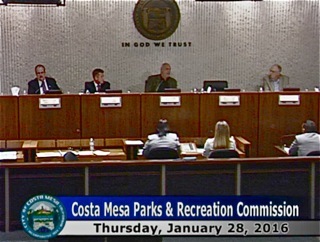 The Costa Mesa Parks and Recreation Commission met last night, Thursday, for their first meeting of the year. As I wrote about earlier, the agenda was not a big one, but there was some good information to be gleaned. 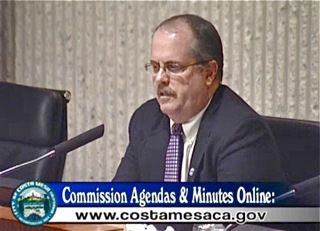 Commissioner Don Harper was absent. Approximately fifteen (15) members of the public attended, but there was never more than 12 in the audience at one time. Beth Refakes reminded us all that the Military Affairs Team is gathering small individually-wrapped candies and small toys that can be placed in plastic Easter Eggs for the children of the currently-deployed 1/5 Marines out of Camp Pendleton. There will be a foot locker in the City Hall lobby for donations. There are three age groups - 0-2, 3-5 and 6 and over. 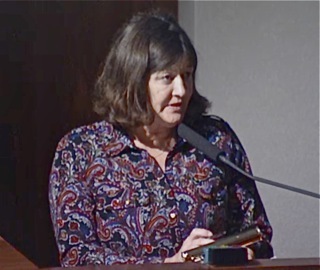 Cindy Black advised the commission and the dozen of us in the audience that petitions are being circulated for the initiative launched by the Fairview Park Preservation Alliance, to protect Fairview Park from certain types of developments. You can read more about the initiative on their website, HERE. 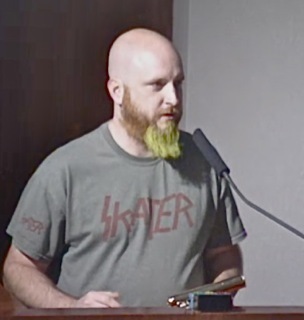 Rocky Evans stepped up again to request more hours at the community Skate Park, another Skate Park and/or enhancements to the current one. He observed that it is consistently heavily-used. 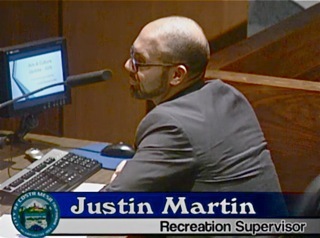 Recreation Supervisor Justin Martin made a presentation on the activities of the Cultural Arts Committee. 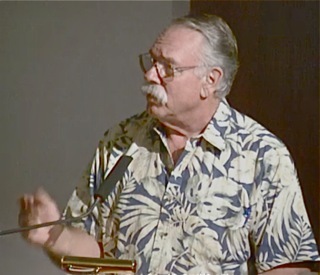 He outlined the many art-related opportunities in the City. Among the highlights of his presentation was a review and images of the ArtVenture event, which was attended by a reported 1,300 people. 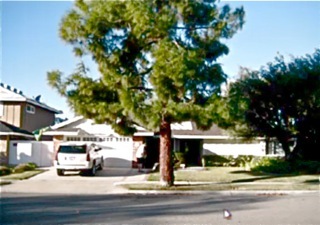 Next up was the Tree Removal request at 2743 Gannett Drive. Commissioner Bob Graham recused himself since this is in his neighborhood. 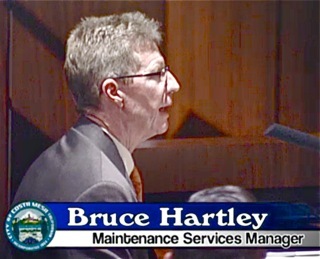 Maintenance Services Manager Bruce Hartley provided the staff report and recommended denial of the removal of the tree. 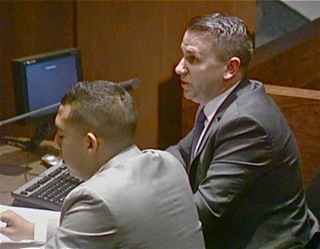 The applicant was not in attendance - odd, since you'd think he might want to plead his case. 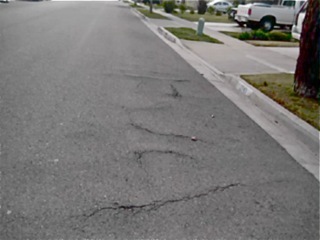 When the vote was taken to deny the request - on a 3-0 vote - Commissioner Byron de Arakal followed up with a request for the staff to do an exploratory patch where the tree roots are clearly lifting the recently paved roadway and use their own judgement once the roots are exposed as to whether removing the roots to save road damage would result in a severely weakened tree. If so, the option would be to remove and replace it. 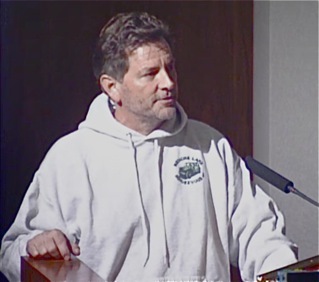 Next up was Recreation Manager Travis Karlen's 2015 Fall Field Audit Report and recommendations for amendments to the Field Use and Allocation Policy (FUAP). Karlen discussed the several adult groups that have been denied fields because they didn't meet the correct residency percentages. And, they discussed Friday Night Lights and their drop from group 3 user status to group 6, which results in limited field use in the Fall of 2016. Karlen emphasized the improved data collection and presented an audit timeline. There was also a discussion of the difficulty staff members had getting cooperation by some user groups - some were described as "defiant" - and the inability to get residency numbers verified by the Newport-Mesa Unified School District because of the extreme workload it would place on their staff. The staff recommended lowering the existing minimum local residency requirement for Group 6 users from 25% to 10% because the higher standard eliminated all but one Group 6 user. After all was said and done, it was agreed that, while not perfect, this was an excellent first step in fairly managing the scarce field resources. During Public Comments on this issue Anna Vrska, a member of the now-dormant Fairview Park Citizens Advisory Committee and strong critic of the lack of accurate statistics on actual field use, was almost giddy when she expressed her appreciation to the staff for this process. Brent Wood, who coaches youth sports teams, addressed the issue of Friday Night Lights, expressing the opinion that he was happy they will be punished for what he described as "cheating and lying" by the leadership of that group, and suggested penalties should be stronger - like 5 years of no field use. He said the behavior by that group casts a shadow on all the groups. During the discussion Karlen affirmed that the Matt Lienart Flag Football group now participates as So. Cal. Elite, a non-profit organization. The commission voted, 4-0, to receive and file the report. Next came the discussion of the Fairview Park Annual Report, presented by Parks Project Manager Bart Mejia. 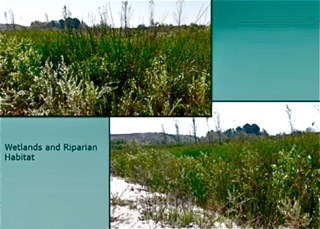 He began with a discussion of the Ryperian Wetlands project, telling the commissioners how the water features had become clogged with non-native plants which kept the water from flowing properly. He showed slides depicting the "before" and "after", following the clean out by a contractor who specializes in such projects. The debris removed is currently stacked for drying before being removed from the park. 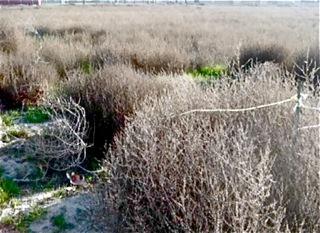 Mejia told the commission that an annual maintenance program will be followed to ensure the Wetlands functions as designed, and that it will cost $40-50,000 per year. 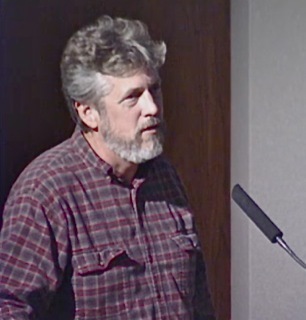 There was a discussion of the vernal pools and the commission was advised that there is no timeline for a response from US Fish and Wildlife as to what is to happen next on that issue. 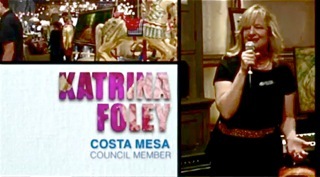 Mejia cited staffing issues at USFW. Regarding the Orange County Model Engineers, Mejia said no major projects are planned by that group this year, but they continue to provide free rides each month. 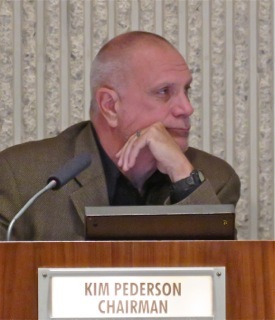 Chairman Kim Pederson asked about the lighting project and was advised that it is still in the environmental stage. 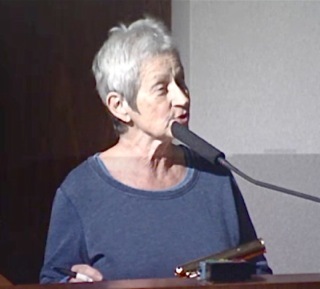 During Public Comments Flo Martin addressed the subject of the vernal pools, and presented hot-off-the-presses photos - taken that day, of the site of the vernal pools which had been defiled by the now-infamous decomposed granite trail - a road, actually. 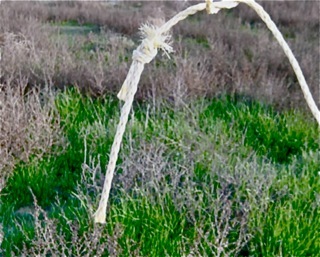 She showed images - some are shown below - that reflected the current conditions, with cut barrier ropes, bent fence posts and paths being gouged through one of the pool locations. When asked about the status of more permanent barriers, Mejia said they will be double strand steel cables with posts every 20 feet, but that they will not keep vandals and others out of the pools. Greater use of signage and more awareness by Park Rangers will help. Cindy Black asked about how frequently these types of reports are issued and was told annually, and had been for ten years. Kim Hendricks advised the commission that the planned multipurpose trail - a road - violates the Fairview Park Master Plan and should not be undertaken. 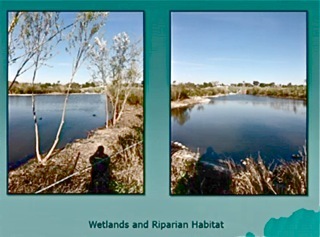 Jay Humphrey, commenting on the newly-refreshed riparian ponds, tongue-in-cheek observed that former mayor Donn Hall's Costa Mesa Marina is finally a fact. He also observed that the maps currently in use are just too small - the type is almost unreadable. 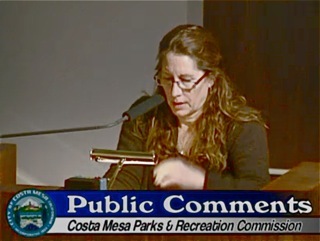 He also observed that the planned lights in the parking lot are unnecessary, since Fairview Park, and all other Costa Mesa Parks, are dawn-to-dusk parks, requiring no lighting. 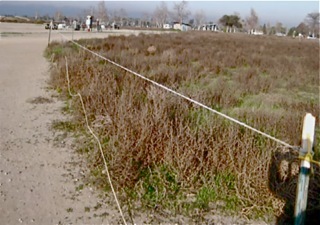 Resident Andy Campbell, a geologist who works for a water district, addressed the planned trail, indicating that ADA will permit a grade in excess of 5% if resting places are included along the way. He cited 5 areas of 10-15 square feet, level, with a bench, that could be accomplished for about $100,000 instead of spending more than $1 million on the planned trail. He also later cited the extreme excavation that would be necessary to accomplish the proposed plan. 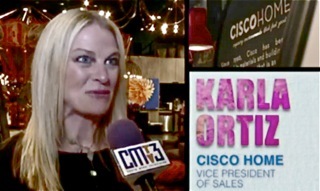 Debbie Koken spoke to that issue, and said to leave the trail alone. 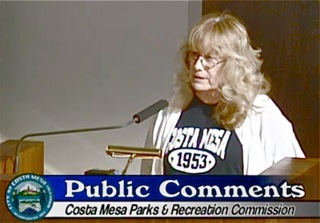 Anna Vrska also thanked the staff for their great work, then advised that we should do a better job of protecting the vernal pools, that lighting in the Westside parking lot was unnecessary and such actions as the extreme trail is what caused the Fairview Park Protection initiative to be launched. She also observed that 90% of the people who addressed the Fairview Park Citizens Advisory Committee felt the park should be kept natural. 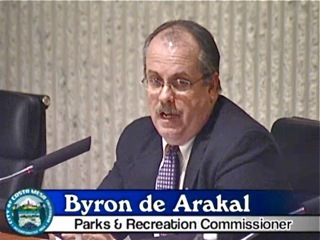 De Arakal observed that the many agencies with which the City must deal on Fairview Park issues are very strict and won't permit violations of established rules. 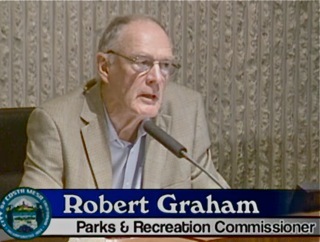 Commissioner Bob Graham complimented Flo Martin for her use of photos. Graham, himself, tries to do that, too. His photographic prowess is meager, by the way. Much discussion revolved around the vernal pool situation. 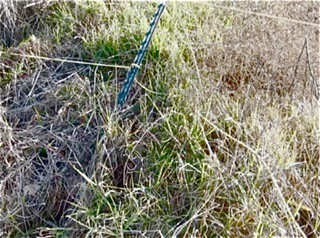 The type of fencing was discussed, and it was observed that chain link fencing would not be appropriate. 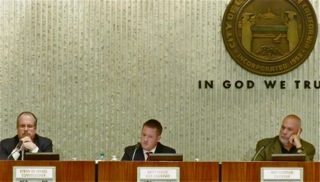 Eventually the commission voted to accept the report, 4-0. 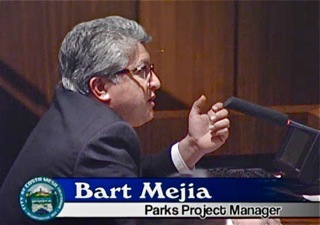 Mejia was up again with his Parks Project Manager report. He skipped anything to do with Fairview Park, since it had been thoroughly flogged already. He spoke about Smallwood park, Harbor Boulevard Trail Improvements, the Feasibility Studies for lighting sports fields at School District Sites, the update on the City's General Plan and that the Open Space and Recreation element will be updated, too. Public workshops are being scheduled for March. He told us that a consultant is working on the delineation of the vernal pools in Fairview Park, and that ADA requirements in TeWinkle Park are being addressed. 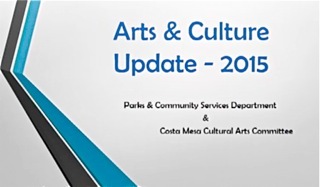 He spoke about the current renovations at the Costa Mesa Bark Park and that the renovation of Fields 1 and 2 at the Jack Hammett Sports Fields with artificial turf should be underway soon. He observed that it will make them much more usable due to the lack of maintenance issues. He spoke of the Newport Boulevard Landscape Improvements, which will run along the frontage from Bristol Street to 19th Street. He also discussed the funding approval for this fiscal year for a feasibility study about the possible need for a second skate park. Cindy Black addressed the problems with the proposed trail/road in Fairview Park again. Kim Hendricks denied the need for lights in the parking lot. Andy Campbell said he has volunteers that would help with the application of dirt to make the baseball field at Smallwood park more usable. 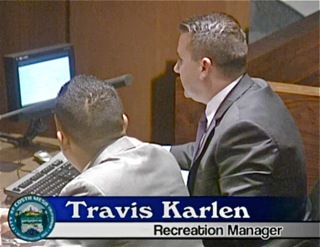 Travis Karlen gave his Recreation Manager's Report. He observed that the Recreation Division had received an award recently. He complimented AYSO 97 for their successful season under the temporary lights at Back Bay School - a complaint-free season. 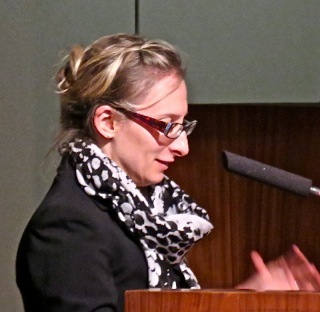 De Arakal addressed the recent Liaison meeting between the City and the School District, during which the possible acquisition of the Balearic Center from the School District was moved forward. The district has acquired an appraisal and now committee work is underway. 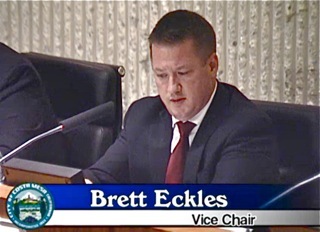 Vice Chair Brett Eckles observed that new features might be needed at the current skate park, and that he would pass on the discussion of Smallwood Park to Harper since that's one of his parks. 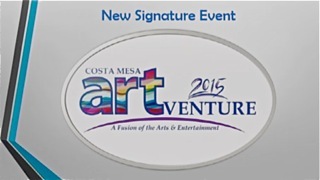 He also mentioned the Costa Mesa United Golf Tournament last week, citing its success. Graham had nothing to add but thanks to the staff and the attendees. 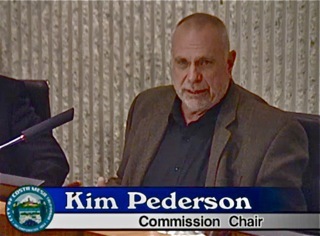 Chairman Pederson added his thanks to those who attended and spoke, then adjourned until the next meeting on February 25, 2016. The residency report for teams wanting to reserve sports fields should deflate the argument by the 3 amigos that we need more sports fields. Stretching residency requirements to include students attending any Newport-Mesa school means that we are providing sports fields for Newport Beach kids. If there is room, that's fine. 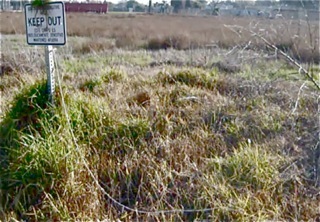 But is Newport Beach putting fields around Upper Newport Bay? I find the excuse of having a duty to provide ADA access to a concrete trail a bit disingenuous. I do not believe anyone in a wheelchair is complaining that they cannot get up the hill from lower Talbert to Fairview Park. Even a person in a wheelchair has ore sense than that. Parking provided at the lower riparian habitat, next to the houses across the channel would provide parking and access would be s cinch. There is no rule or law that indicates that one has to be able to traverse from one park to another without the use of a car. Even if the concrete trail they want to put in comes to fruition, no person can push an adult in a wheelchair from the bottom to the top. If you lose control the wheelchair will roll back down injuring its occupant. If a wheelchair tries to go downhill, eventually someone will lose control and the occupant can be seriously injured. It doesn't take much of a grade for a wheelchair to gain speed. This is a stupid, stupid, idea. As for lighting in the park, if you light it they will come. If there were light there, I'd walk my dog there at night. If there were lights, there will be kids playing soccer there after dark. That will cause the city to have to have increased patrols and other potential dangers for hanging around the park after dark. There are, however, places nearby the park that could stand to be lighted. But not the park itself. Isn't there a median somewhere they could throw that money at?